What are the sounds of Bollywood music? What are the various influences that shaped and continue shape Bollywood music? 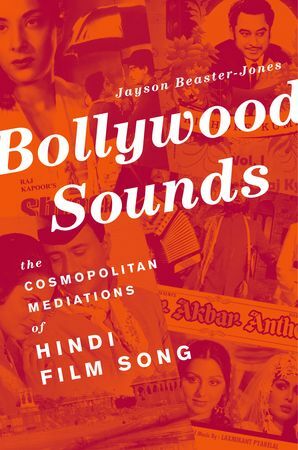 If you delve deep into the subject of Bollywood music as Prof. Jayson Beaster- Jones has done, you will discover all sorts of musical influence from jazz, big band to gypsy music and hip-hop. American music has influenced Hindi or Bollywood music going back to the early day – think 1940s. You can hear traces of Benny Goodman, Tommy Dorsey and other big band music in the early Hindi film music. Beaster-Jones illustrates the American influence through Dorsey’s “Song of India” that was originally composed by Russian Rimsky-Korsakov‘s made famous by Dorsey and traveled to Bombay and made it to a Hindi film track. If you fast forward to the 21st century you will discover hip-hop and rock music and the neo-swing music of Mikey McCleary, a New Zealander, who is remixing and re-imaginging those old vintage and retro Hindi film songs in new ways. We spoke with Beaster-Jones on the various global influences that go into the making of Bollywood music and look at the American influence on Indian cinema. It comes as quite a bit of surprise to folks when you mention how strong American music influenced Hindi or Bollywood film music. Related Links: Prof Greg Booth Making of Bollywood Music Part-2 and Part-3 and AR Rahman on His Musical Journey.